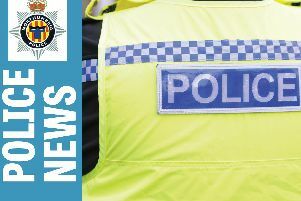 Police are appealing for witnesses following two trailer thefts in Northumberland. One of the incidents happened overnight on Thursday, July 9 and Friday, July 10 at Ulgham Grange. A double horse box with number plates V581 FSS was stolen. The trailer has four new tyres, an eight-inch SQ sticker on the rear ramp with a brown horse jumping over a fence on it and the word ‘Hunter’ under the force. The other theft took place in Welfare Park, Red Row, between 10pm on Saturday, July 11 and 6am on Sunday, July 12. The flat bed trailer with no sides that was taken has a tailgate. The rear lights are damaged and it has a tailboard tied onto it displaying the registration number NK13 7DP. It has a twin axel with no a-frame and is used for transporting mini-diggers. Anyone with information is asked to contact Northumbria Police on 101, extension 69191, quoting reference 379 120715. The reference number for the theft at Ulgham Grange is 291 100715. Alternatively, email morpeth.npt@northumbria.pnn.police.uk or call Crimestoppers anonymously on 0800 555111.